There’s no denying that with age comes experience and wisdom. On the other hand, so do achey bones and joints. As some of us age, a simple task such as going to the dentist can become difficult. When you add in living in New York City, the task can be even more difficult. Do you have a loved one in need of geriatric dental care? Perhaps you are some in need of a dentist who is specifically trained in geriatric dentistry. Whether you are searching yourself, or you are a caregiver, there is comforting news. 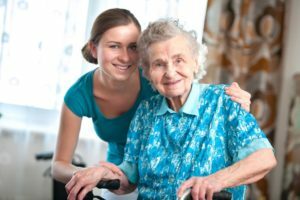 When it comes to special care dentistry NYC caregivers can find these tips on geriatric dental services useful. Teeth and gums become more susceptible to decay and infection. It is important to ensure dentures properly fit inside the mouth (Loose dentures can lead to mouth infections and stomach issues). Food and other plaque build up occurs more often within the teeth. Geriatric dentists can detect various diseases such as heart disease and osteoporosis. This is the result of examining evidence on the teeth and gums. If you or someone you know is need of geriatric dental care, it is time to find the best special care dentistry NYC has to offer residents. NYC has entrusted Dr. Alisa Kauffman to provide the best dental care to New York City’s geriatric community. Dr. Kauffman, one of the Top 25 dentists in the nation offers special care dentistry, NYC caregivers can trust. Patients are not only in good hands with Dr. Kauffman’s compassion and sensitivity towards the geriatric community; she makes house calls. In order to reach those who cannot leave their homes, she travels to patients to ensure they can receive high quality dental services. Call us today to schedule an appointment. Call us at (917) 826-6278.